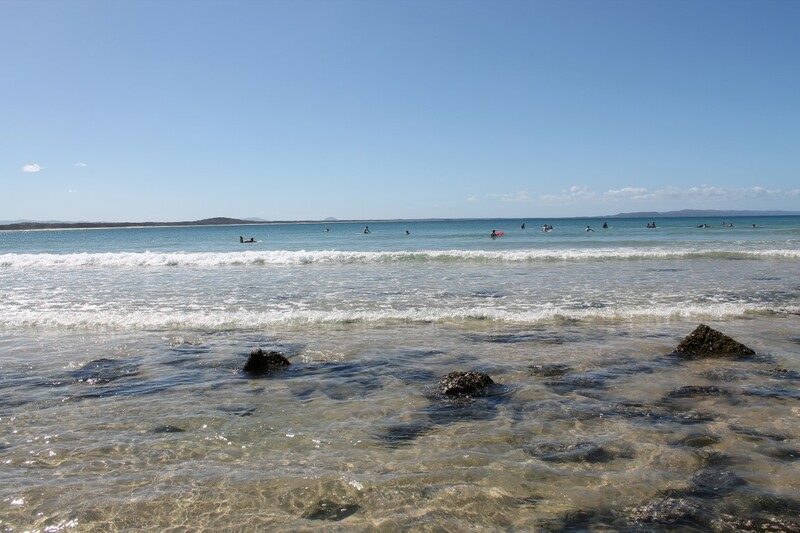 Body-boarding in Noosa’s Turquoise Waves | Turning my world upside down! 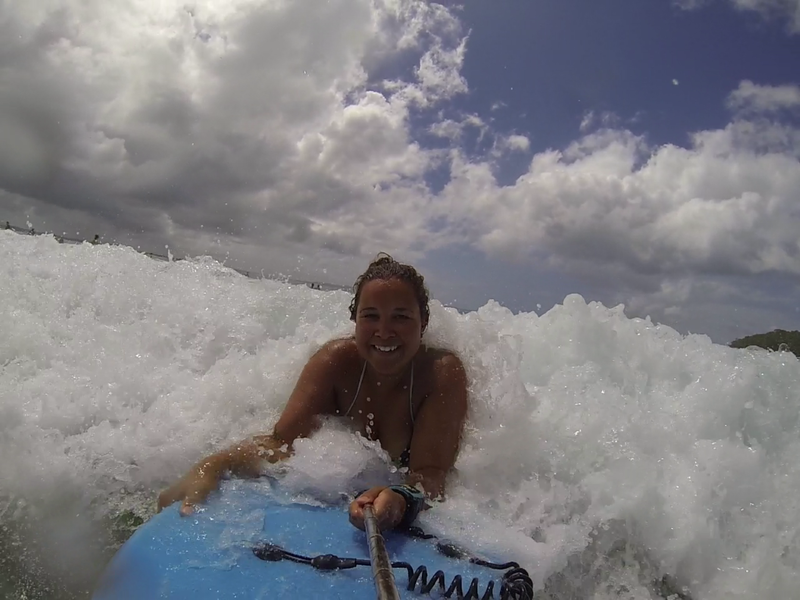 If you have been following my blog then you probably know by now that I love the ocean and any and all water sports. If I can be in the water or by the water I am happy. 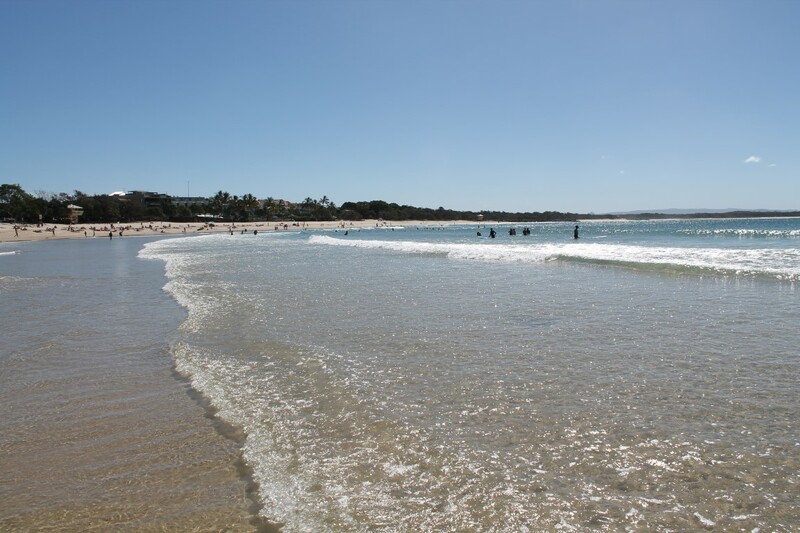 I felt it was time to give body-boarding, also known as buggie-boarding, another go while relaxing on the beach in Noosa. The last time I went body-boarding was in 2007 when I was in Nicaragua. I remember loving it as much as other water sports I’ve tried. I haven’t been in so long because the right opportunity and conditions hadn’t come up. 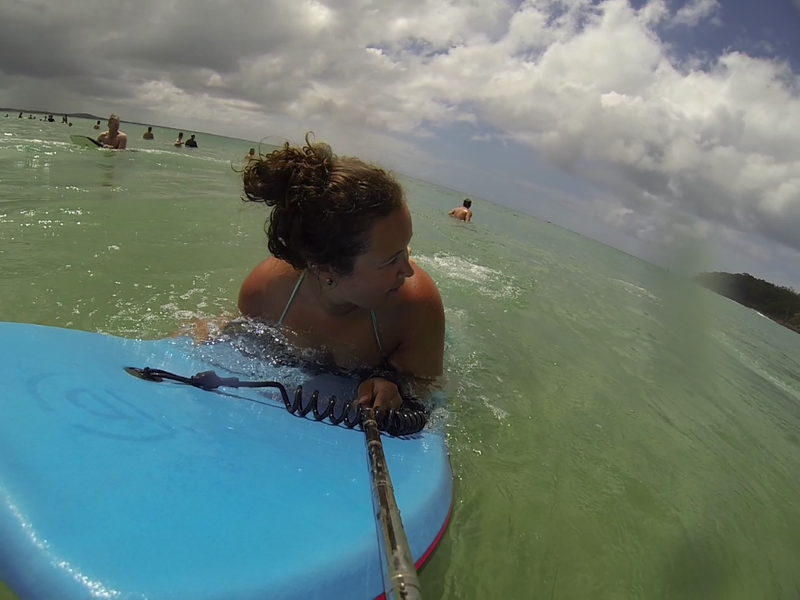 I think I love body-boarding more now than I did years ago. 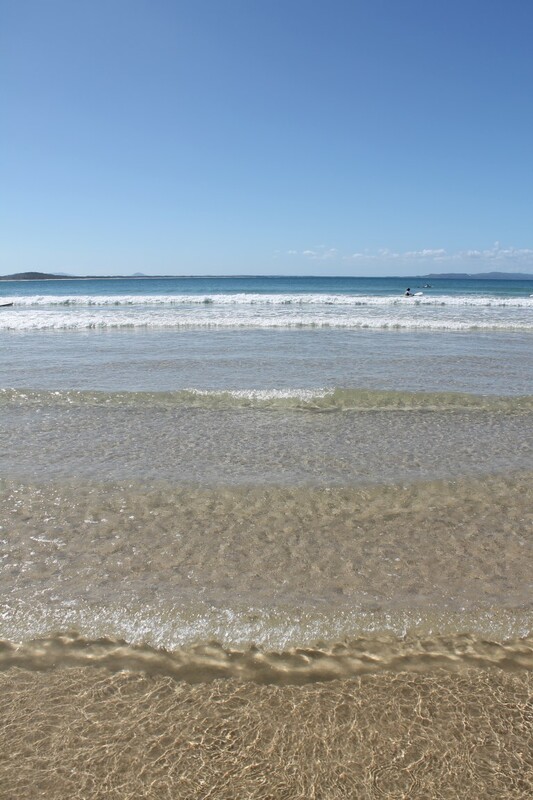 Playing for hours in the turquoise waves on Main Beach was the most fun I had in Noosa. With the waves rolling in sets of three, I was always patient to wait for the third and biggest wave, while letting the first two head toward the beach. I remember catching one wave so big it surprised me and sent me straight for the beach at unexpected speeds, while forcing an involuntarily yelp out of my mouth: yahooooooooo! This is a thrill I can have over and over again. Like a fish in the sea, I didn’t want to leave the warm blue-green water and felt awkward on land. I am ready to buy my own board when I get home to body-board the entire Canadian summer season. Now I am hard pressed to decide what my favorite water sport is. 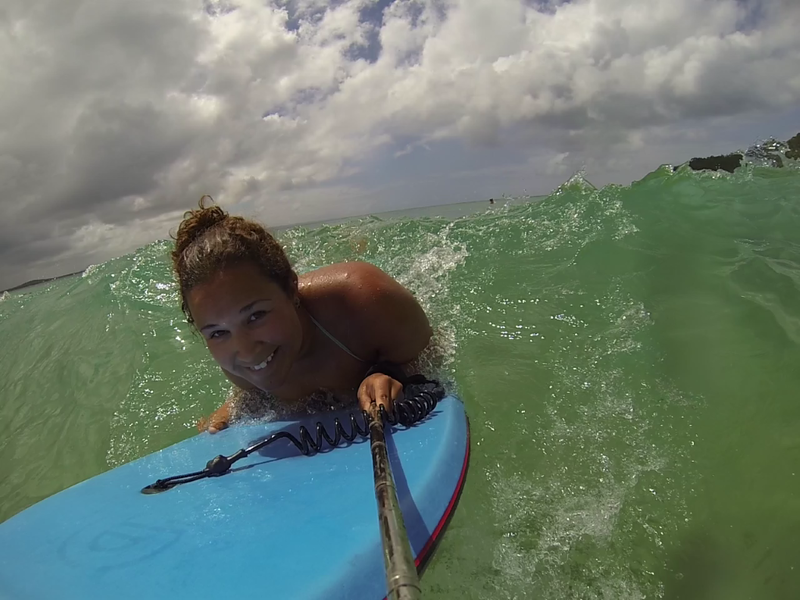 Not even three months ago, I was stand up paddle boarding (SUP) in Hawaii ready to buy my own paddle board. Now to decide! I love sea kayaking too! Can I have one of each? How is it that I love all of them equally, but for different reasons? I think it is partly because they all have me in the sea. There is no better place to be. I understand and appreciate that not all people are beach lovers like myself, and definitely not to the same degree, but it is hard for me to understand how someone can’t love it. I will share the mountains, valleys, desserts, and forests with those who love the beach less, so that I get more of it to myself. An afternoon of body-boarding in Noosa reminded me yet again that I am the luckiest girl in the world to be on an adventure of a lifetime. I am so happy I worked hard for 5 years saving up for my sabbatical. 14 months of travels is my reward. I am 8 months in and have 6 months left. I will have these memories forever. Thanks for publishing one of my posts! I am so happy we were able to connect. Thank you for sharing. Wish you more memorable moments in your life and your time travelling. 🙂 Keep us posted. Thank you Anne! Happy to have you with me in spirit.